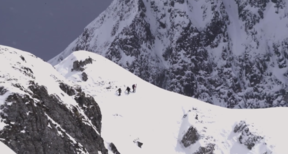 TOURISM VERSION - FULL FILM Olympic athletes Freddy 'The Fox' Austbo and UK freeskier Rowan Cheshire joined EpicTV on the first leg of the trip to one of the Pyrenees' hidden freeride gems and scored some epic powder turns. If it's good enough for the King of Spain then it's good enough for us in this, the first episode of our #EpicSpainShred. Not far from Barcelona in the Catalan region of Val d'Aran, Baqueira Beret has some of the best backcountry you'll find in Europe and luckily we had the expert local guide & pro skier Aymar Navarro to show us the best spots in some sick conditions! The resort also has some great spas & bars and of course we checked out the local culture with some pintxos & tapas. 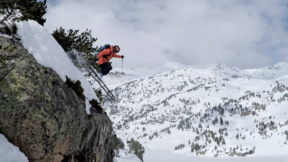 When you think of Spain you probably think of sun, sea and sangria before snowsports but maybe this series #EpicSpainShred will change your mind and add skiing and snowboarding to that list. 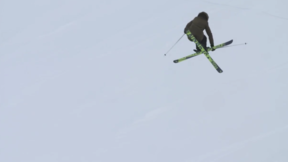 EpicTV took Olympians & pro-riders Freddy Austbo, Rowan Cheshire, Billy Morgan & Mirjam Jaeger to Spain to see what you can get up to if you spend a weekend skiing or snowboarding in 3 of Spain's best ski resorts. We spent 48 hours in each of the 3 resorts and their surrounding areas to check out the the slopes, parks, backcountry & local culture. 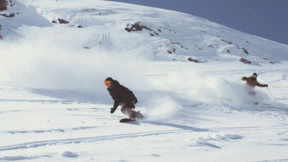 The result: we found that Spain offers skiers & snowboarders something unique that you can't get find anywhere else! The first episode follows Freddy & Rowan to the secret freeride haven of Baqueira Beret, near Barcelona, for some powder turns & tapas. 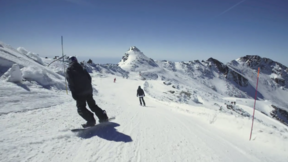 In part 2 they head to Formigal near Zaragoza, which is part of Spain's biggest & most modern resort area in the mountains of Aramon. 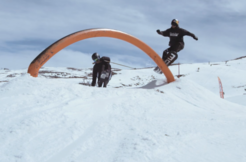 And finally Billy & Mirjam picked up the baton and went to Europe's most southerly ski resort, Sierra Nevada, for some sunny park laps and sunset a kicker session, then to the beach and the beautiful city of Granada. Check out the full edits if you want to see what else they got up to once the lifts had shut - this series highlights the amazing mix of riding, culture, tapas and sight-seeing that Spain has to offer. Viva l'Espana!